I had no idea what my wedding would be like, but March 4 2017, the day after we got engaged, I instantly saw it. 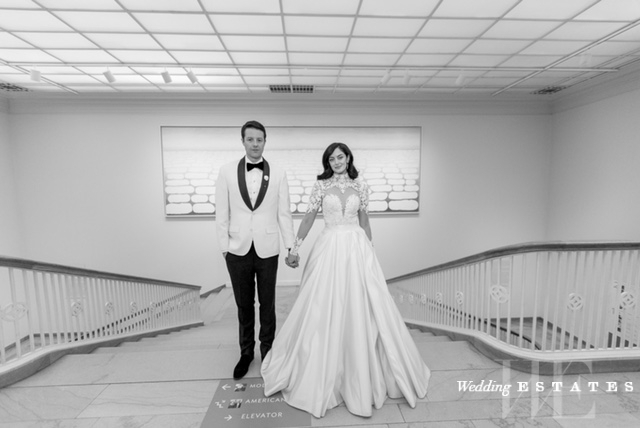 I custom designed my gown starting from a sketch with an amazing LA based designer Usama Ichtay. Having a fashion design background, I was able to see it on paper and make my dream come to life. Not one dress, but two. However, I wasn’t the only one my husband also had a change, ending the evening with a white jacket for the reception. But lets move on, I would love to give you more details about the things you want to hear! 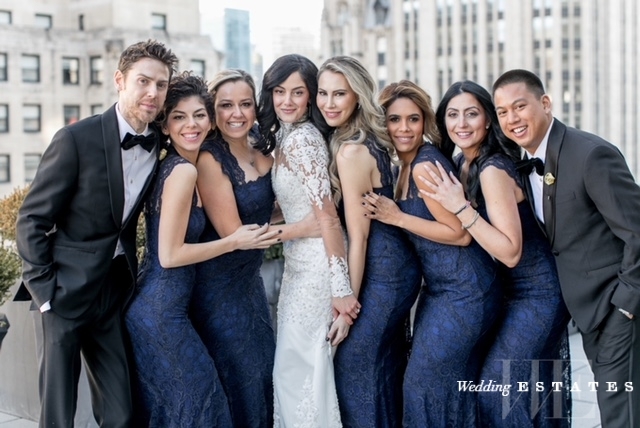 Bridesmaids wore Nicole Miller navy color lace gowns. Katie Beverly, the photographer was flown in from San Diego because no-one could beat her work, and with One Fine Day Productions as our videographer, and they are the best team anyone could ask for. KIV Karats in Beverly Hills designed the most perfect wedding band, a circle cut infinity band. 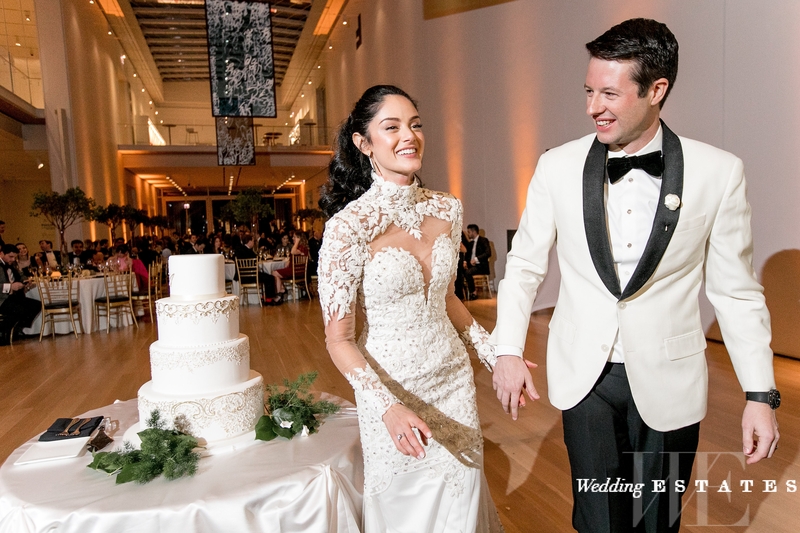 Rehearsal dinner was at the infamous Joes Stone Crab in Chicago and the reception was at the Art Institute of Chicago. 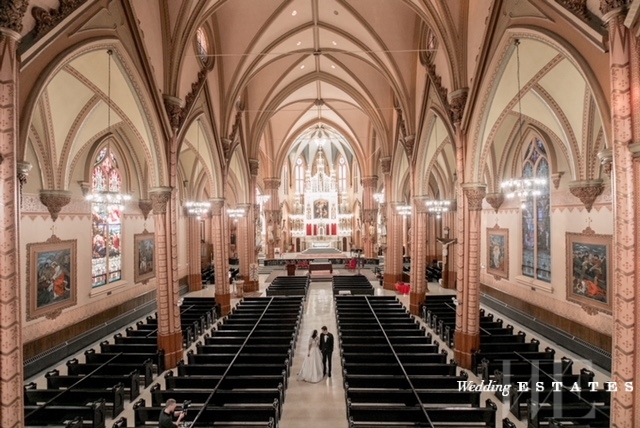 Ceremony was at one of the oldest cathedral style Catholic church in Chicago, Holy Family. The Gwen Hotel provided us with the presidential suite, with the most stunning view of the city. After a 2 week honeymoon at the Four Seasons in Bora Bora, going to the private island of Tetiaora, and staying at The Brando, I have no more wedding planning to do! !